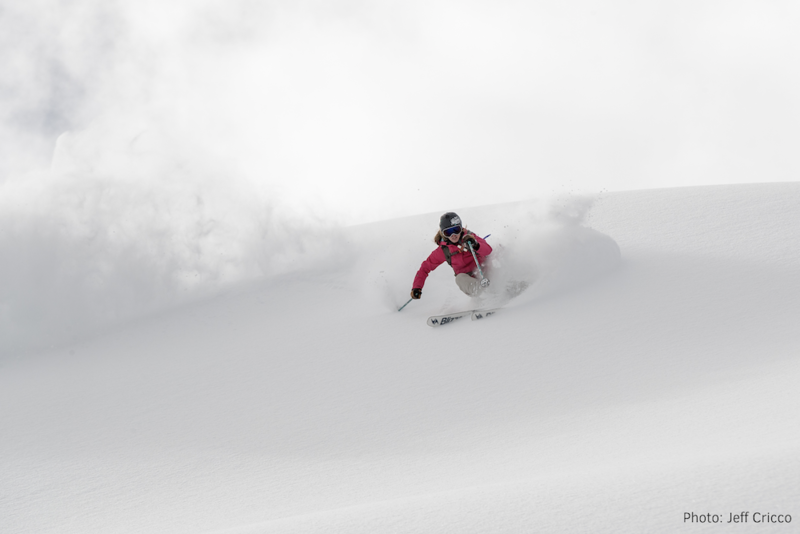 Colorado snagged the early-season headlines thanks to a parade of storms and early resort openings. 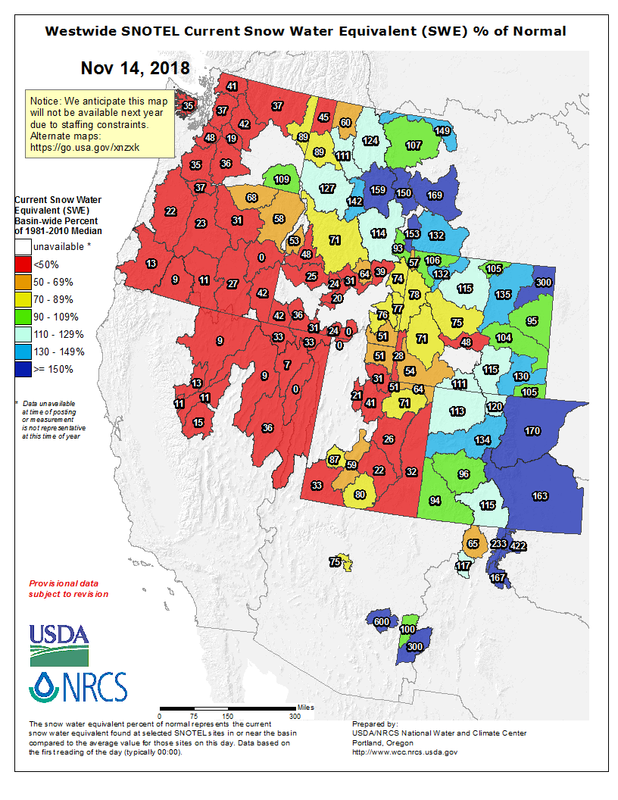 Areas along the West Coast are off to a slow start but the season is young and storms are on the horizon. 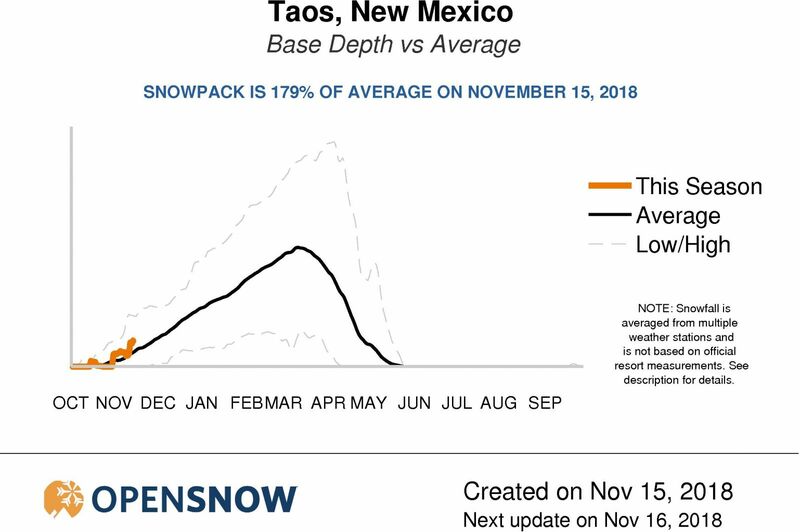 The map below shows the percent of snowpack compared to the average snowpack for that day. Red is well below-average and blue/purple is well above-average. 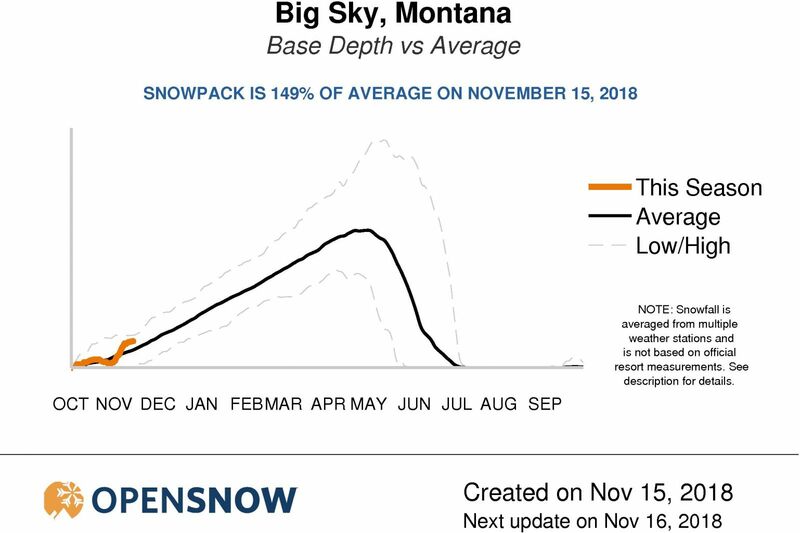 This based on the weight of the snow on the ground, measured by automated backcountry weather stations called SNOTEL. 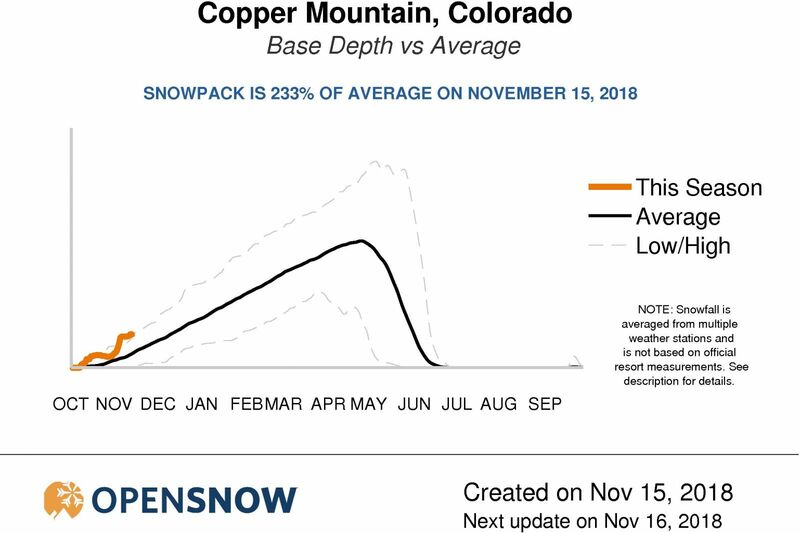 The following Base Depth vs. Average graphs are updated daily on OpenSnow and available to All-Access members for nearly every mountain location in the western US and Canada. 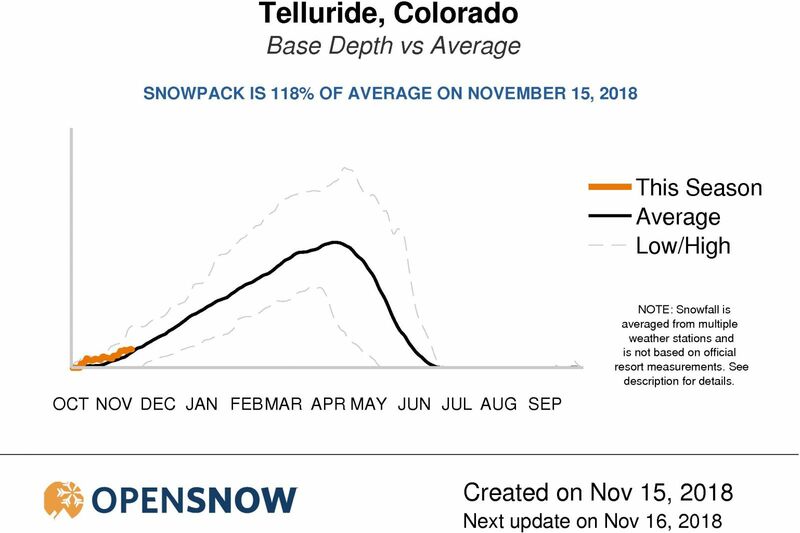 Here are four locations with above-average (compared to the 30-year average) along the spine of the Rockies.